Picture this…. sunny winter afternoon and you are out walking your 7 month old Labrador. Oh to be in the country and breathing in fresh air. Until said Lab decides to find an indistinguishable brown muck to roll in and turn from been black Lab to brown Lab. Perfect walk…ruined. After I got home I realised that there was a little bit of washing to do… towels are showering him, my clothes, dog bed from car etc. Ever one to see a positive (i struggled at the time with being positive!) I thought today was the perfect day to try out my new Laundry Liquid and Softener by Violet’s. The in-ground muck would be the ideal test! They are safe for humans and animals alike. But how did they stand up to the test? I dispensed the Laundry Liquid and separate Laundry Softener using the cap given and I was immediately hit by the smell of Lavender. I placed the offending clothes and towels in the washing machine and set it to wash. I then kept and eye on the load. Unlike many toxic and SLS filled detergents, there was not a wall of foam at the door of the machine. Even when I have used the likes of Ecover or Method, there has always been a little foam, but not a lot here. I wondered how this would turn out. To my surprise the muck ridden towels and clothes came out amazing. Not a sign of brown mud ( I am being polite here) at all. They also smelt so good! The next test would be how they dried. I tend to air dry most clothes in our boiler cupboard and give towels a final dry in the tumble dryer. There is now a serene lavender smell in our laundry cupboard, which is really pleasant. I really like these products. We have always stocked Method or Ecover in our house but I would be keen to try more of Homescents and Violet’s instead. Price wise you can get a 1.5L (39 washes) of the laundry liquid for £6.95 from their website. They also have a good variety of larger bottle sizes if you like to buy in bulk like I do. A 5* Fifi Friendly is awarded to Violet’s. 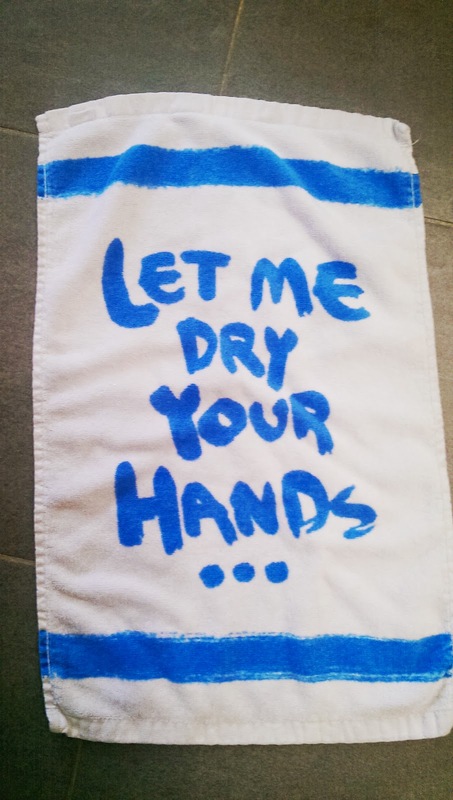 Your non-toxic, ethical, 100% natural, septic tank friendly, sensitive skin friendly, hypoallergenic, biodegradable and vegan certified laundry products really tackled my laundry amazingly. There are so many positives to this brand that I am sure I have missed some out! 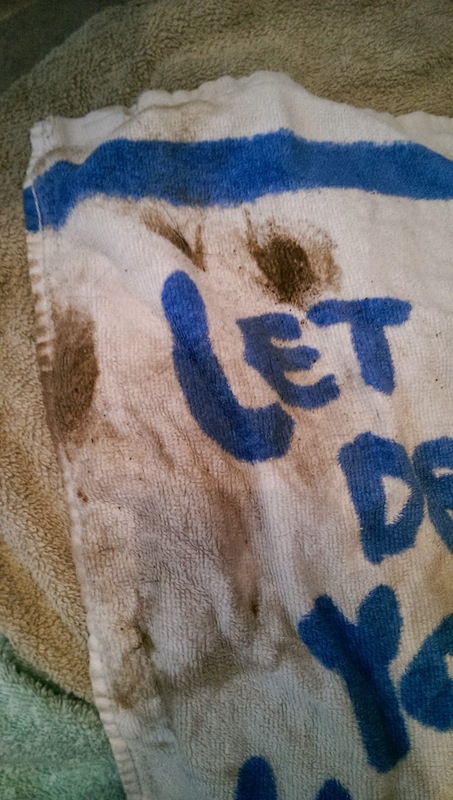 The picture above is the towel before and the picture below is the after shot…. big difference and on a 40 deg wash. If anyone in your family suffers from eczema, allergies or psoriasis then you have to try this UK brand. They helpfully do “try me” sizes as well. There is free delivery on selected laundry products until the end of January! Next Post Is this the best Juicer?